In financial year 2016-17, the total amount transferred using BHIM app was only Rs 695 crore. 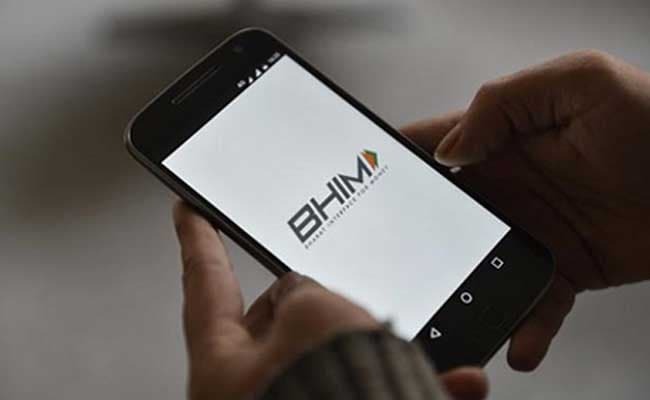 BHIM is a UPI-based payments app developed by the National Payments Corporation of India. BHIM or Bharat Interface for Money app has led to a 'spectacular growth in digital payments', said Union Minister Ravi Shankar Prasad on Monday. "There has been a spectacular growth in digital payments through BHIM UPI over a span of one year, thus showing that India is rapidly moving towards a digital economy. #DigitalIndia," Mr Prasad, the Minister of Electronics and Information Technology, tweeted from his verified Twitter handle, @rsprasad. In financial year 2016-17 the total amount transferred using BHIM was only Rs 695 crore and it touched a staggering Rs 10,983 crore, further mentioned the tweet. 1. BHIM or Bharat Interface for Money is a Unified Payment Interface (UPI)-based payments app developed by the National Payments Corporation of India (NPCI). The app allows real-time fund transfer using a single identity like mobile number or name. 2.One can send and receive money on UPI, pay bills on merchant website, book flight tickets or scan a QR code to make quick payments. 3. The payments app is available in 13 languages -- English, Hindi, Tamil, Telugu, Malayalam, Bengali, Odia, Kannada, Punjabi, Assamese, Urdu, Marathi and Gujarati and can be used on all handsets with iOS (version 8.1 & above) & Android OS (version 4.2 & above). 4. One can also use BHIM outside India to send and receive money. However, Non-Resident Indian (NRI)/Non-Resident External (NRE) accounts cannot be used for the same. 5. The NPCI also does not charge any user for making transactions on BHIM. Recently, the BHIM app, in order to attract more customers on its platform, also rolled out a host of cashback offers for its customers as well as for the merchants. Right from downloading the app to making the transactions, the customers are entitled to receive cashback at every level. The customers are eligible for receiving the total amount of cashback worth Rs 750 every month.